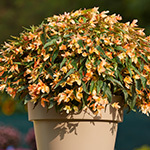 fimbriata nana - "Aphrodite F1"
A good alternative to varieties propagated by cutting. Compact habit during production. 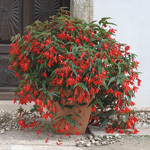 Five colours available, bell-shaped flowers, flower size 6–7 cm, plant height in flower beds 35 cm. 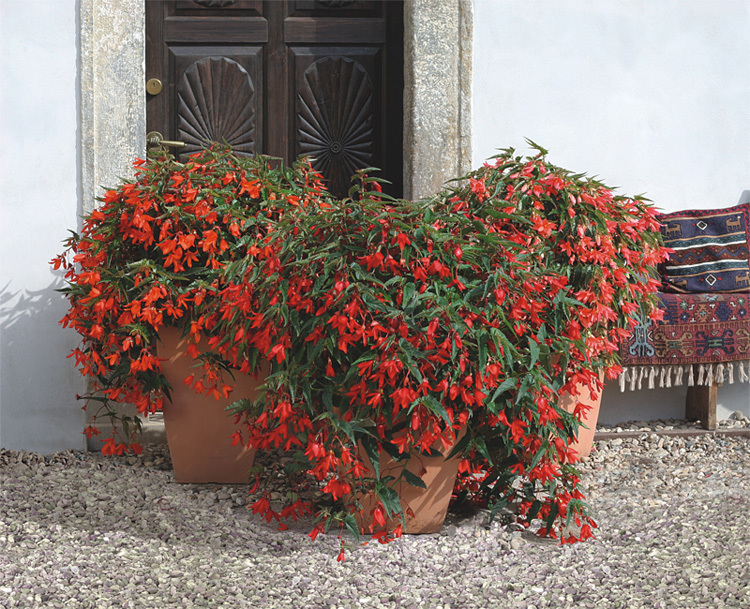 Tolerant to a wide range of cultivation conditions: drought, rain, full sun and shade. 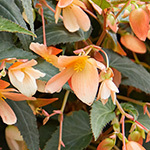 When we compare this new product to other types of begonia, it performs excellently in places exposed to full sunlight. 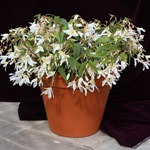 It significantly extends the possibility of using these new varieties in plantations. 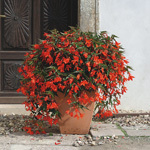 Ideal for big hanging baskets, containers and garden beds. 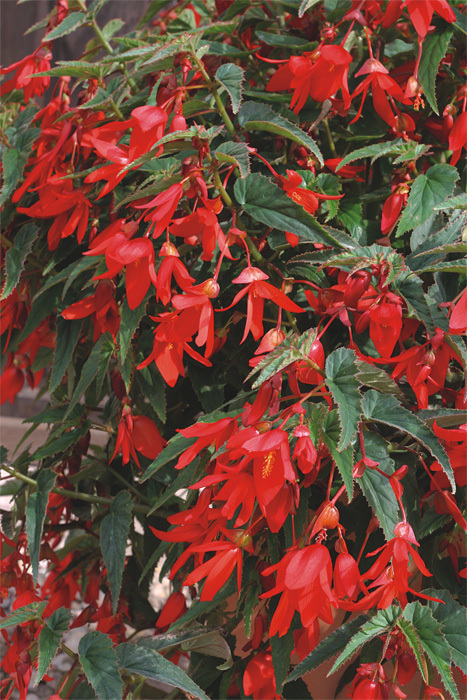 Young plants have erect growth first and later produce a large quantity of side shoots. They create a small overhang in boxes. The growth in garden beds is decumbent. Excellent seed quality. Available only as pellets. 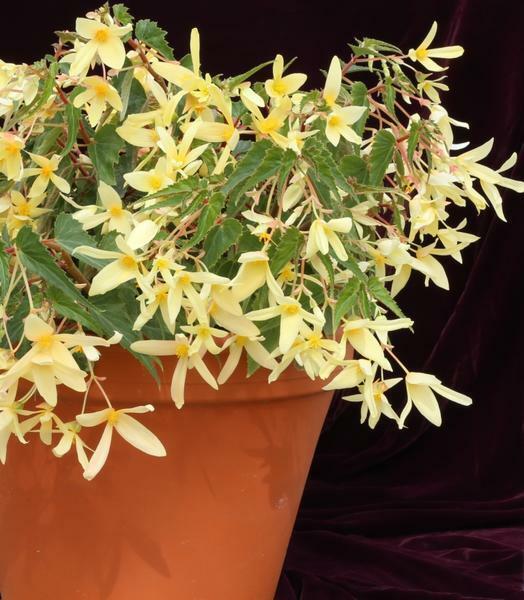 The latest success story from the breeding work of the Černý Seed Company, supplementing the Copacabana F1 series to include a brand-new colour, unique in international ranges, combining apricot, cream and yellow flower shades. 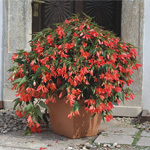 Already at the young plant stage, the Copacabana F1 Tricolour is more compact than other varieties in this series. 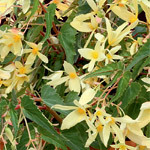 The young plant grows to a height of 13–15 cm, the flowers have a wealth of branches and grow exuberantly. The final height is 30–35 cm. 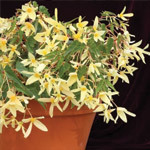 Exuberant bloom and creation of an effective overhang of medium length are the natural characteristics of this variety. Cultivation technology does not differ from the other varieties in the Copacabana F1 series that you know so well. 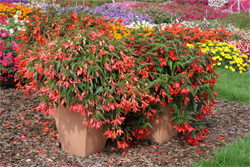 Sowing time: January for flowering bedding plants from May onwards. 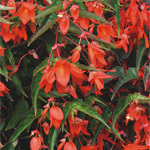 Growing Begonia boliviensis is generally quite similar to cultivation of Begonia tuberhybrida. Media pH 5.5 – 5.8, good quality sowing media with 0.5kg PG-Mix (14-16-18) per m3. 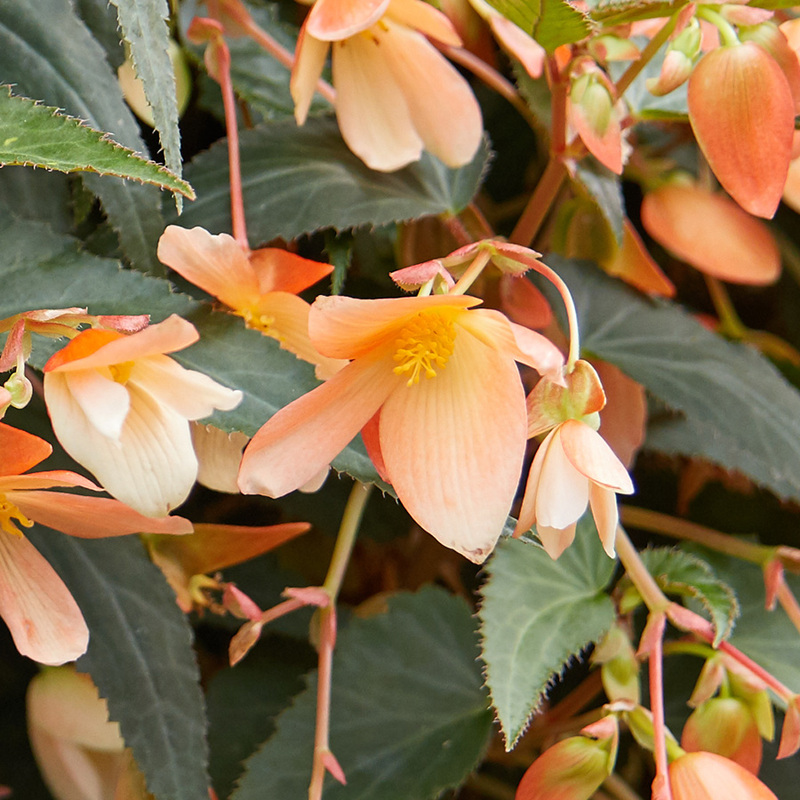 Begonia are sensitive to damping-off disease of seedlings therefore we recommend application of Trichoderma fungi and Previcur (propamocarb) pesticide as a precaution. Sciarid larvae (Bradysia paupera, Bradysia aprica) present in the medium will dramatically decrease the number of sprouted seedlings. In this case we recommend precautionary application of parasitic nematodes Steinernema feltiae. High humidity close to 100% and temperature 21-23 °C are the basic conditions leading to good results. Do not cover the pellets. The length of this stage lasts 7-10 days until radicle emergence. Visual Note: At the end of Stage 1, the radicle grows from the destructed pellet and the roots start to form. Humidity: 100%, even short drops of humidity can harm the germinating seeds, to maintain high humidity you can cover the plug with plastic foil. Lighting: Light is necessary for germination. The light intensity in the chamber needs to be 200-1,000 lux (20-100 foot candles). 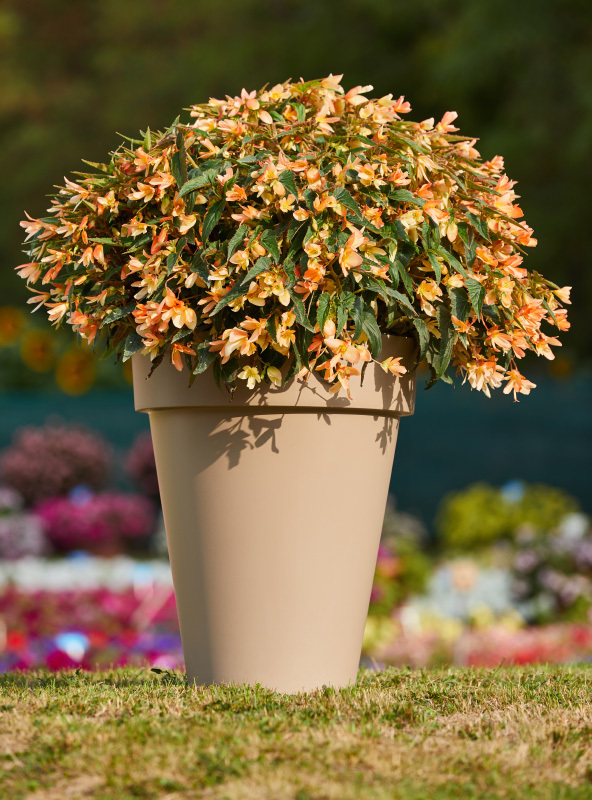 In this stage it is necessary to ensure optimum conditions for growth of the root system. This especially means high humidity. Visual Note: The seeds are completely sprouted by the end of stage 2. The radicle is developed, the stem is present and cotyledons have expanded. Moisture: The moisture alternates between levels 4 (wet) and 3 (moist). Oversaturated media will inhibit the growth of the root system deep into the media due to a shortage of oxygen. Seedlings are tiny and therefore watering must be gentle so the first roots that fixate the plant in the media do not tear out. Lighting: Begin with supplemental lighting after germination. 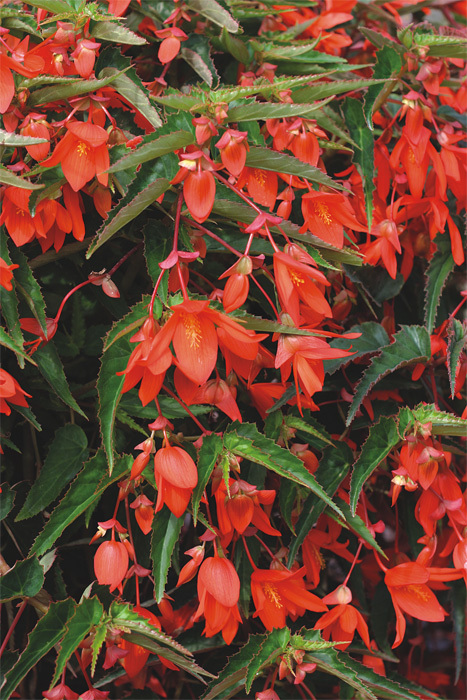 Begonia boliviensis is an obligate long-day plant. During a short day, the seedlings stagnate and form miniature tubers. Extend the day length up to 14-16 hours using supplemental photosynthetically active light. 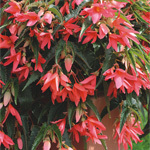 High quality plants are produced at an intensity of 4,500-7,000 lux (450-700 foot candles). Optimum water and nutrient management in this stage will result in a perfect root system that will allow for optimum development of the above-ground part. Visual Note: At the end of Stage 3, the roots should be penetrating the plug cell and the first true leaves will have developed. Moisture: The moisture alternates between levels 4 (wet) and 2 (medium). The alternation of these moisture levels will ensure a sufficient amount of oxygen in the whole plug and the roots can grow through the media right to the bottom. 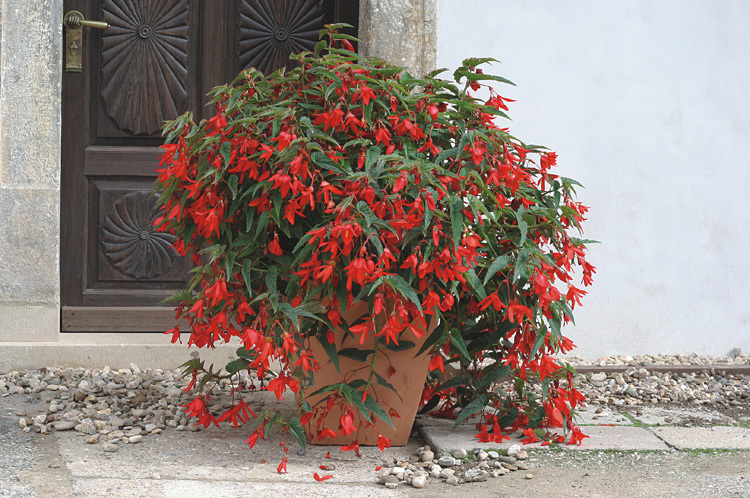 In this stage, it is important to take care of the plants' health and to apply fungicides if necessary. 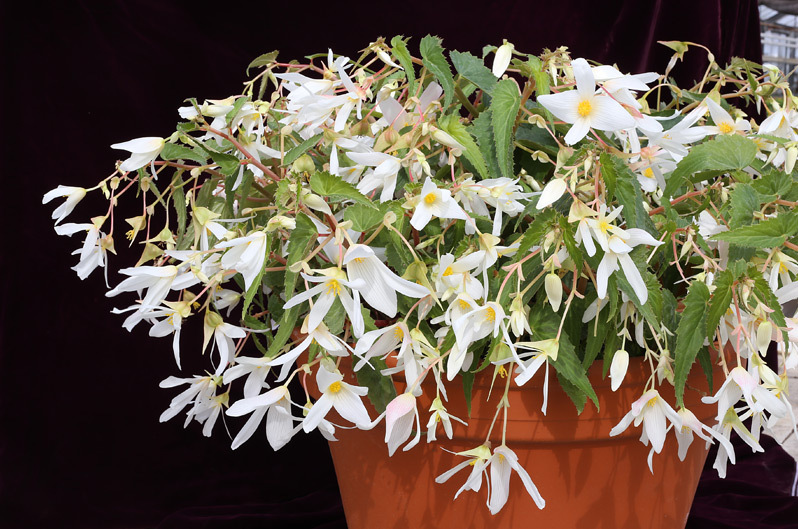 Dense growth could, in unsuitable growing conditions, suffer from Botrytis cinerea. Visual Note: At the end of Stage 4, the roots should hold the plug mass together easily. The shoots should have 2-3 true leaves. Moisture: The moisture alternates between levels 4 (wet) and 2 (medium). Sufficient watering must be ensured so the whole plug is moist. 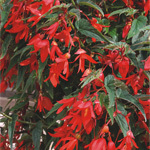 Too frequent but insufficient watering is not appropriate. Lighting: same as in Germination Stage 2. 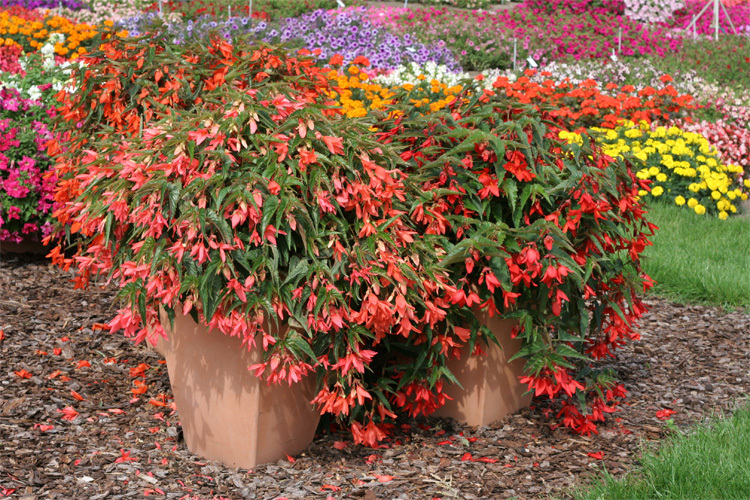 In the event of light intensity close to 25,000 lux (2,500 foot candles) the plants should be shaded. 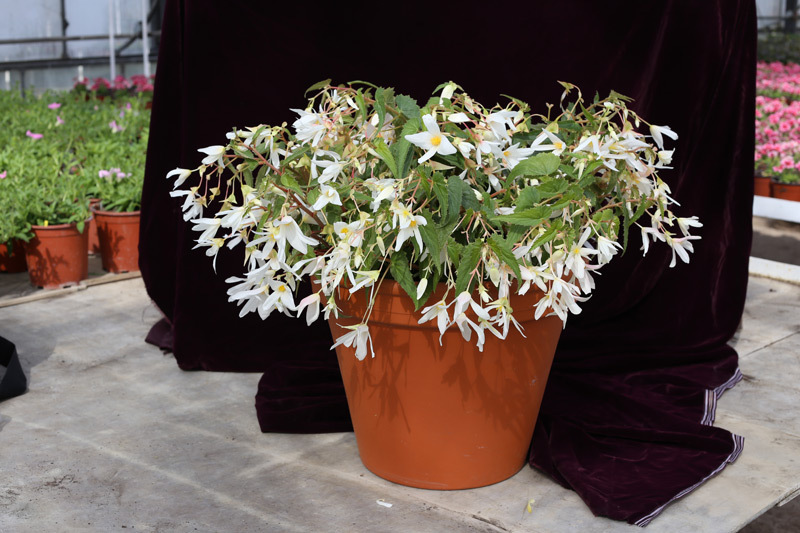 Temperatures below 14 °C result in stagnation of growth and formation of tubers. Growth Regulators: Generally not needed. If necessary, it is possible to use Cycocel (chlormequat chloride) treatment at 30-50 ppm (active substance). At most two treatments. 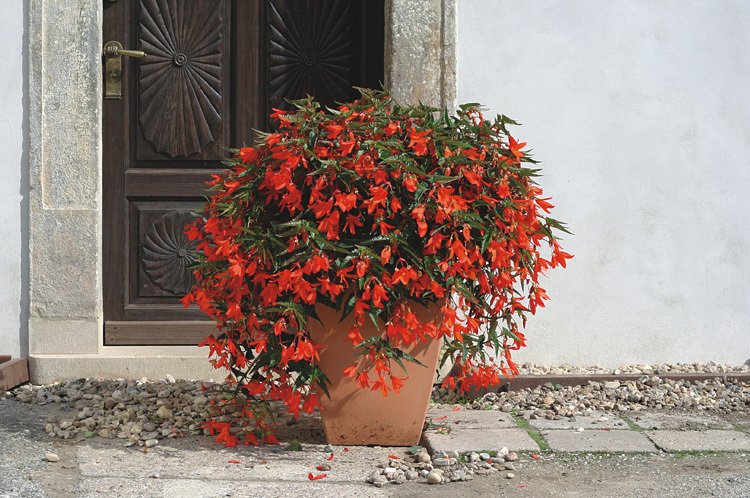 Temperature: After transplanting, temperature 18-20 °C during the night. Lower the temperature to 16-18 °C later. Moisture: Alternate between moisture levels 4 (wet) and 2 (medium). Humidity: 40-70%. 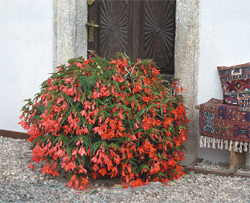 Using of horizontal airflow is beneficial for the health of the plants. Fertilizer: if necessary 2 times per weeks or more often; 100-150 ppm nitrogen (19+6+20) alternate (12+12+36). 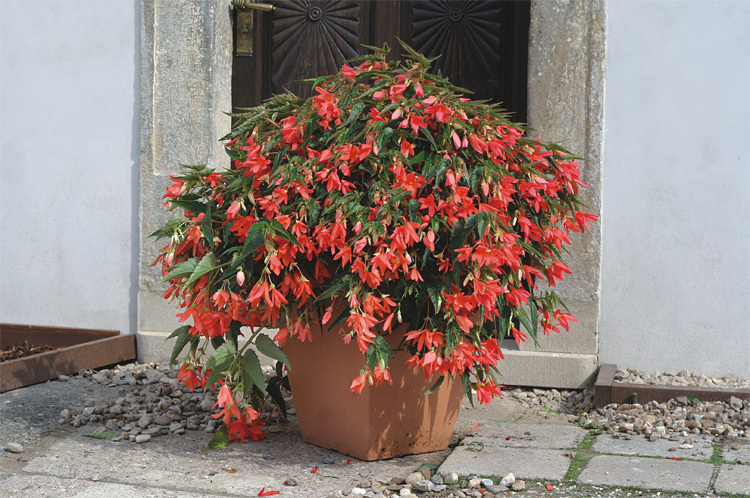 Increased N: K ratio towards K has a positive influence on the health of the plants and their compactness. Fertilizer usage with high ammonium nitrate content might result in root damage especially at lower temperatures. 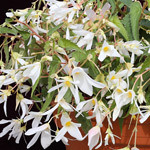 These suggestions are only guidelines and may have to be modified to meet the individual grower's needs. Moisture level 5 (saturated): Water is easily observed in the media. Moisture level 4 (wet): Media is wet to touch, but not saturated. Moisture level 3 (moist): Media is black but not glistening. Moisture level 2 (medium): Media has changed colour from black to a medium brown.